You are browsing the archive for Elaine Shaughnessy. What does open data / open knowledge have to do with crisis mapping? Crowd-sourced digital maps created by online volunteers worldwide are powerful tools in humanitarian relief work. Volunteers worked 24/7 when Typhoon Haiyan (Yolanda) hit the Philippines. At the International Conference of Crisis Mappers (ICCM) in Nairobi, Kenya, the School of Data hosted a full day pre-conference training session as part of the mentorship programme. To learn more read the blog report. Our “Follow the Money” website was launched at the Open Government Partnership Summit and you can read about it and also follow the livestreamed panel discussion. If you are interested in using information about public money to hold decision-makers to account, then we hope you’ll join us and sign up. The recent event which brought together a group of open education enthusiasts has resulted in the building of an Open Education Timeline. The timeline has now been ‘put online’ using TimeMapper and we need your help to ensure that includes all the most important dates and consists of good quality data! We’d like to make it the the most comprehensive Open Education Timeline to date! If you are interested in contributing then take a look at our post. Enter the LinkedUp “Vidi” Competition, the second second competition in the LinkedUp Challenge. We’re inviting you to design and build innovative and robust prototypes that use open data for educational purposes. There are prizes to be won and we can offer support. Find out more on the LinkedUp Challenge website. 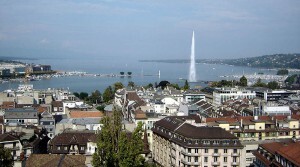 The OKCon 2013 conference on Open Data – Broad, Deep, Connected is being held in Geneva, Switzerland in September. OKF Events and Marketing Team Beatrice Martini and Elaine Shaughnessy have been to check out the venue and to meet up with our colleagues from OpenData.ch – Andre Golliez, Hannes Gassert and Jan Zuppinger and with Sylvie Reinhard and Magaly Mathys from Lift Events. The venue is at the CICG Conference Centre and is a great space for listening to our keynote speakers and engaging with the programme and for community workshops, exhibitions and events. Participants will have an area where they can give a ‘stand up/pop up show’ to talk about their own projects and ideas. There will also be challenges and competitions and a preview of the Urban Data Challenge exhibition, a 3-city transportation data challenge between the cities of Geneva, Zurich and San Francisco. We had discussions on the programme and were really excited that there were already over 200 great responses to the Call for Proposals. They were so good that the deadline was extended until tonight (at 23:59 BST)! Also exciting is that the keynote speakers are confirming their attendance – so keep your eyes on the blog as Jan will be posting some speaker profiles next week. 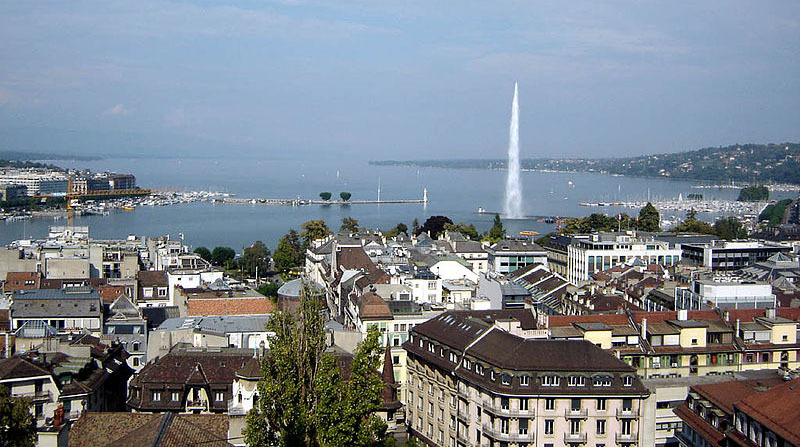 We thank the Swiss team for their hospitality and for helping us check out Geneva’s attractions including a very charming jazz bar and an evening apero sitting in the sun alongside the river Rhone.